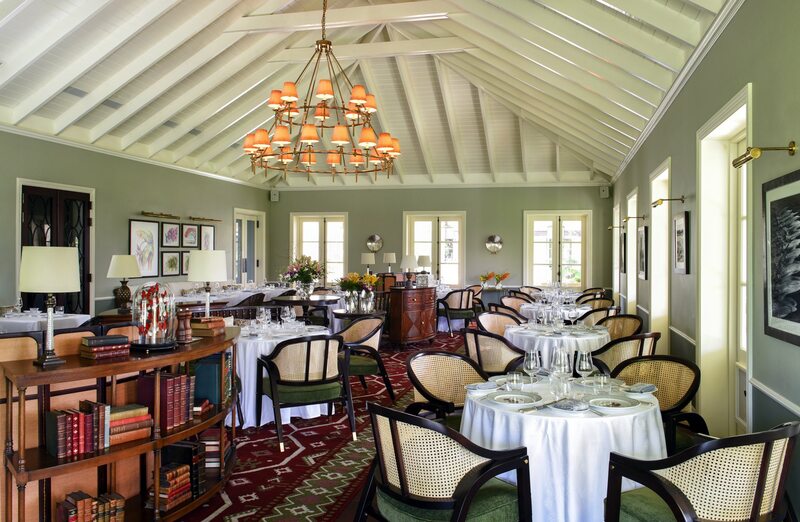 The concept for the $6 million dollar restoration project to revitalise the former plantation house at Jumby Bay, A Rosewood Resort on a private island off Antigua, was the modern interpretation of the colonial spirit. Dernier & Hamlyn was commissioned by Dennis Irvine Studio to create the bespoke lighting which is a vital part of the design narrative. In the light and airy restaurant, a large 22 lamp bespoke brass chandelier is a simplified and elongated take on a corona ring chandelier typical of those installed in colonial great houses. 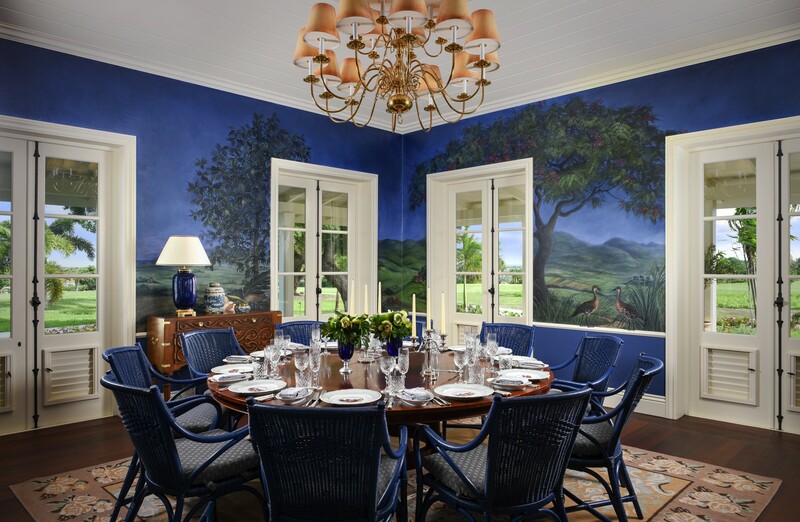 In the Blue Room, one of the Estate House’s beautiful private dining rooms, a solid brass chandelier sits over the table – a nod to the Dutch style of lighting popular at the time the building was conceived. 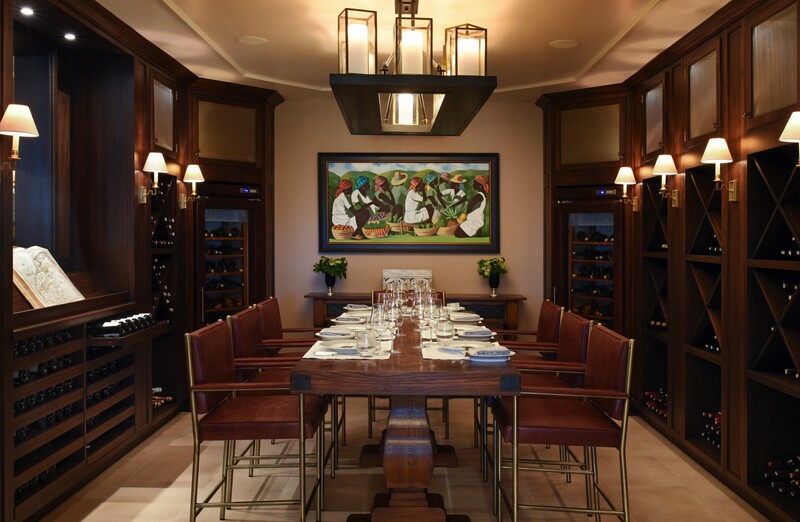 In the wine room, where resort guests may store their own collections, 20 faux candles each sit within handmade lanterns which are placed on a brass tray, hand-finished in bronze, to provide a natural finish that complements the dark woods and leather furniture in this atmospheric room.